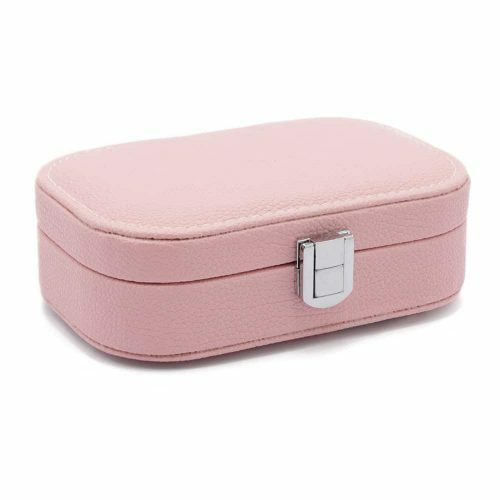 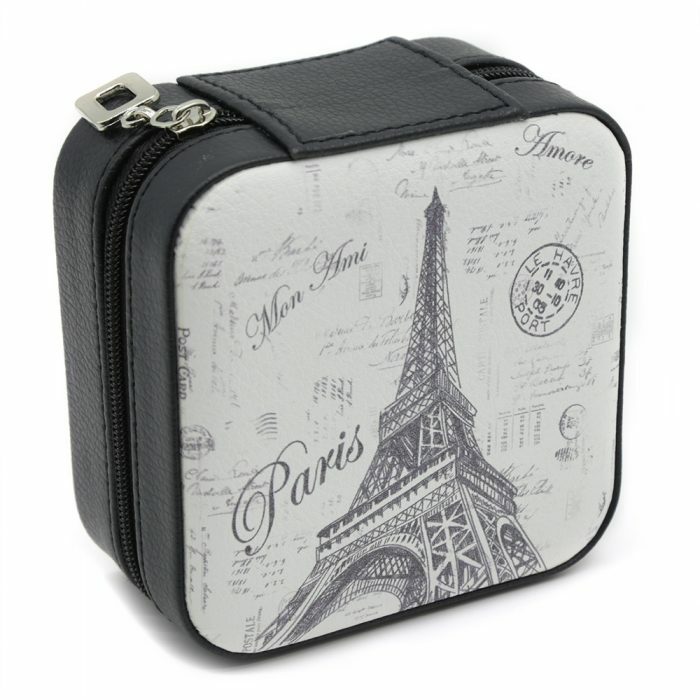 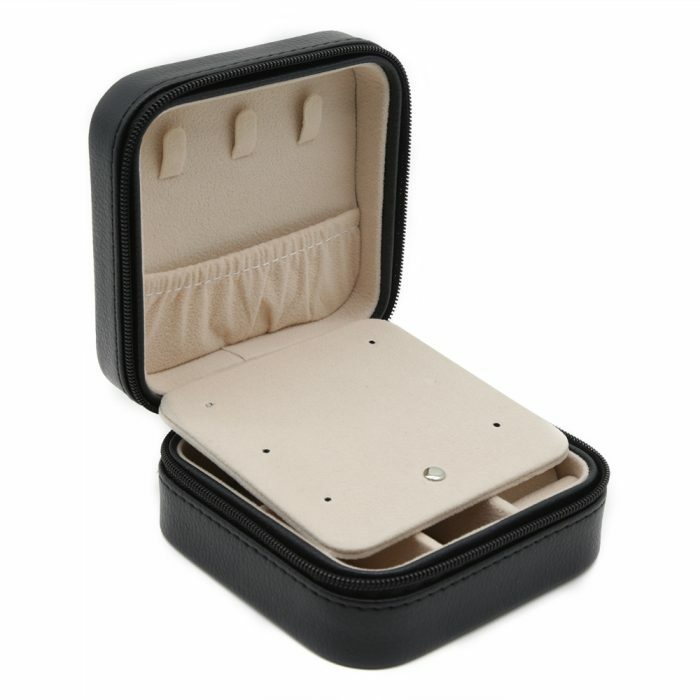 This Black Compact Jewellery Box is a small yet practical Jewellery Box that is easy to take traveling but designed perfectly to fit a large amount of jewellery in. 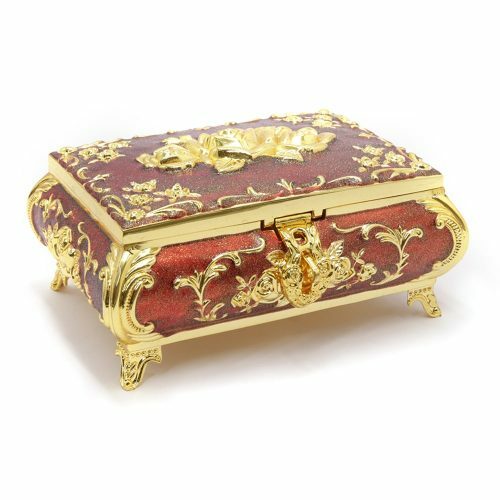 The exterior of this box has a glossy look. 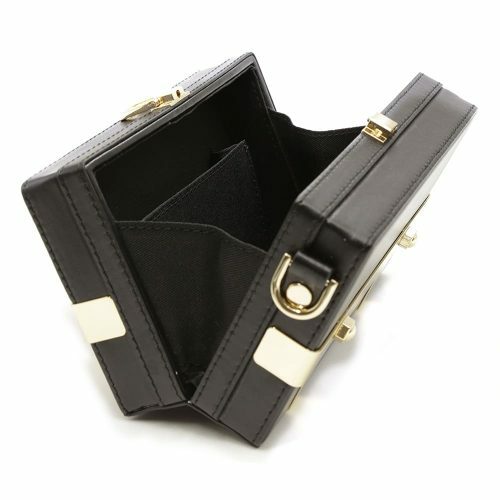 It has a sturdy zip that opens the box to contain a light velvet interior. 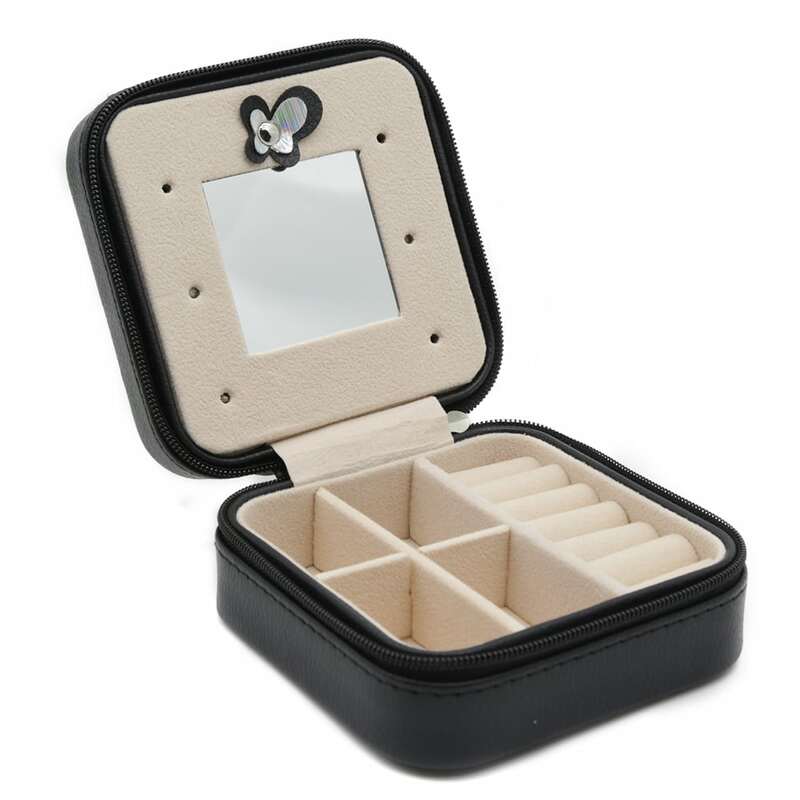 This box is split into 2 different compartments. 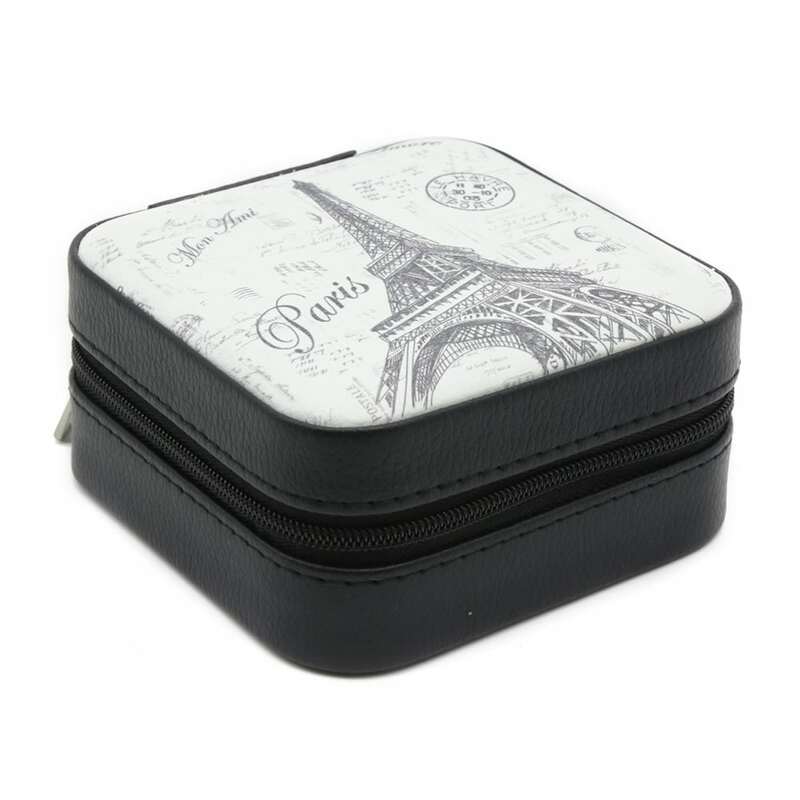 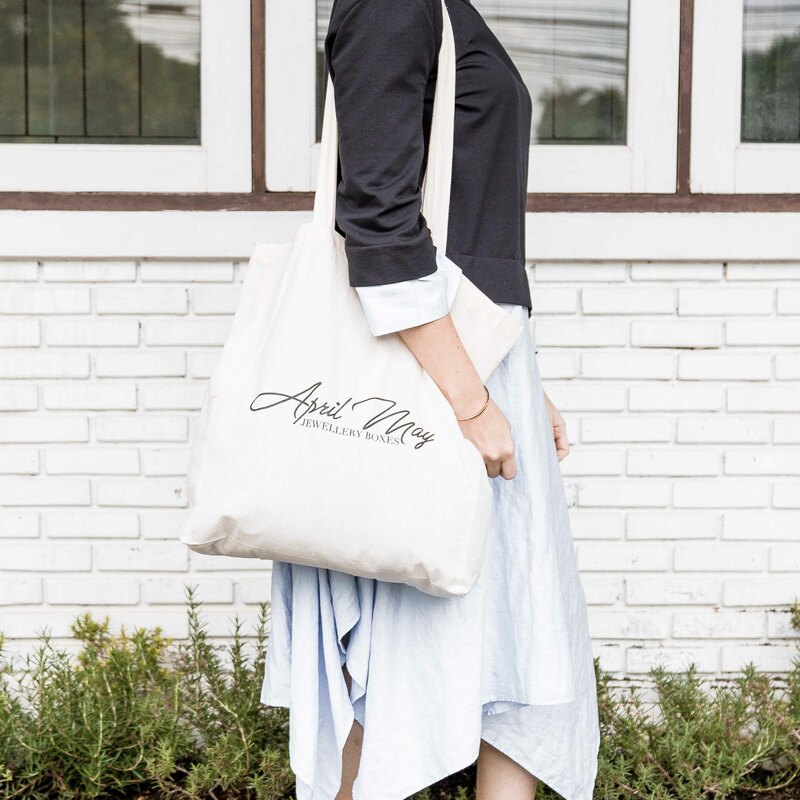 The bottom layer has 5 different storage compartments and the top has 3 hooks and a large amount of space for your bigger items. 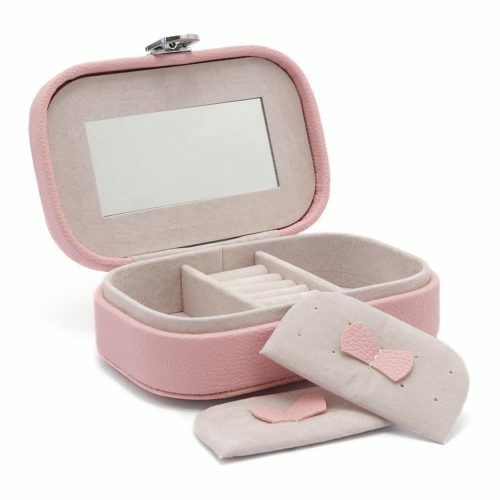 The divider contains a mirror and holes for earnings. 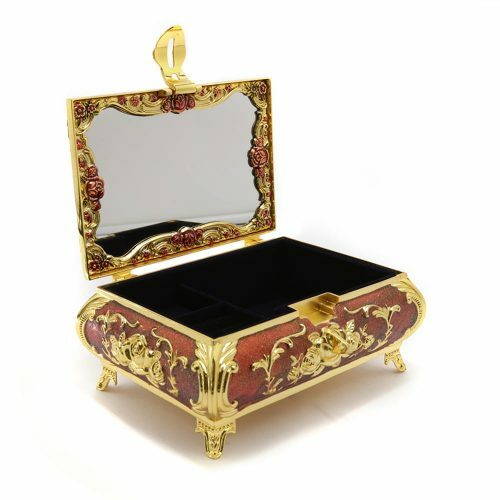 This jewellery box is perfect for storing your necklaces, rings, bracelets, earrings and other valuables.